Need red diesel in Wakefield? Here at Crown Oil, we specialise in red diesel deliveries across the country including west Yorkshire. This means that if you’re located in Wakefield, we can deliver diesel fuel same day or next day if needed! We offer a next day delivery for those who need gas oil quickly however, in case of an emergency we can offer you a same day delivery on fuel. For our latest red diesel prices in Wakefield, please fill in the form on this page, or give us a call on 0845 313 0845 to speak with one of our advisers, who will be more than happy to give you a live red diesel quote. Buying gas oil is easy at Crown Oil. We’ve been supplying fuels and lubricants for over 65 years which means you can trust us with deliveries and advice! Red diesel is also called gas oil. It can be used in machinery such as diggers or tractors, and it can also be used for heating purposes. This low duty form of diesel can be used in off-road vehicles and machinery but it mustn’t be mistaken as a substitute for road diesel (derv). If you need red diesel delivered to your site, or anywhere else in the UK, call Crown Oil and we will take care of the delivery for you. We offer the best payment terms available in the industry and our prices are more than competitive! Wakefield is a city in England. The city of Wakefield has been urbanised. As late as 2001 the City of Wakefield had a population exceeding seventy-six thousand. Wakefield is quite large in area as well and has an area of over two thousand hectares. Lying next to the Calder River, this amazing city is full of variety including sports facilities, attractions (such as the Pennines) and numerous events and festivals. 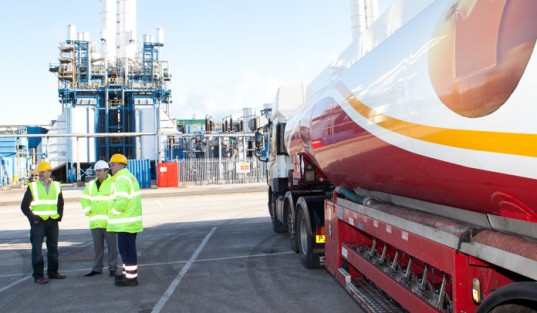 Red diesel fuel is used to heat homes and businesses throughout the UK including Wakefield. Red diesel fuel contains a red dye (which gives it its name). This red dye makes it possible for law enforcement in the United Kingdom to tell the difference between the diesel fuel used to heat homes and power machinery, and the diesel fuel that is supposed to be used in vehicles that are used on the highways. The red diesel fuel is taxed significantly lower than the diesel fuel that is used in vehicles driven on the highways. The red diesel fuel can be used by farmers in farm vehicles such as tractors and machinery and by construction crews in their off road vehicles. These vehicles are not driven on the highways of England and the normal fuel tax is not imposed for such vehicles. Where can I find red diesel fuel in Wakefield? There are red diesel suppliers in and around Wakefield but, none of them can compare to our value and experience. Once you’ve ordered you will need to fill out an RDCO form. A person who wants to purchase red diesel fuel in Wakefield will have to have a license for its use. Red diesel suppliers can dispense the gas oil into a barrel outside your home or business. If you’re ordering bulk red diesel, it’s best to have an oil tank where we can fill it up for you.